No one wants their Jeep to get dented and torn up on the rocks, that’s why you need to pickup some Jeep armor to keep your rig looking nice. I’ve run plenty of gear such as rock sliders, corner guards, tube fenders, tub rails and more, and while they all help in their own way. I’ve found there are definitely some upgrades that provide more bang for your buck. I’m here to give me two cents on where to start your upgrades, and how to plan them along the way. Choosing the right vendor for your Jeep armor is every bit as important as what type of armor you pick. I’ve had experience with most big names like Smittybilt, Metal Cloak, Trek Armor, Rough Country, Poison Spyder, Body Armor 4×4 and more. I’ve found that it usually comes down to the thickness of the metal, and quality of finish for Jeep Armor. I don’t want to spend $600 on some corner guards just to have them rust within a month (this happened to me with some Trail Gear sliders). Pick your price point, and try not to skimp. 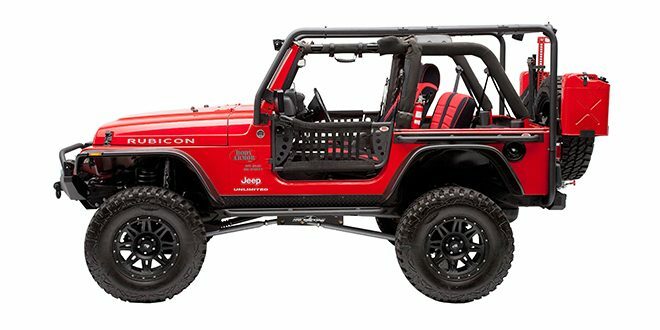 Where to start when buying Jeep Armor? Here’s where we have to lay our cards on the table – are you shopping for armor that looks good or is functional (or… both?). It’s better to be realistic and say – I just need some corner guards to cover up some previous damage. If the chances are low that I’m going to need them to actually protect my Wrangler why waste money… on to the next upgrade. This helps keep you from overspending. The first Jeep armor I put on my 2005 TJ was a set of rock sliders. 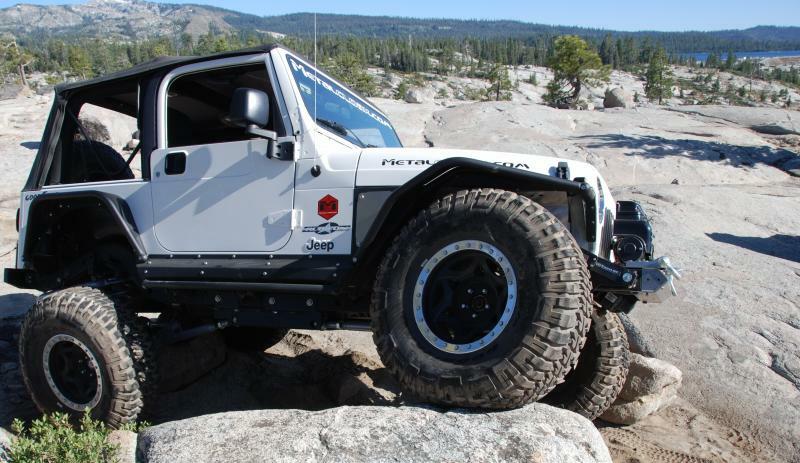 They look good, and can be used every day as a step to get into your rig – even if you never have to use them to keep rocks from damaging your Jeep’s body, they’ll still get use. 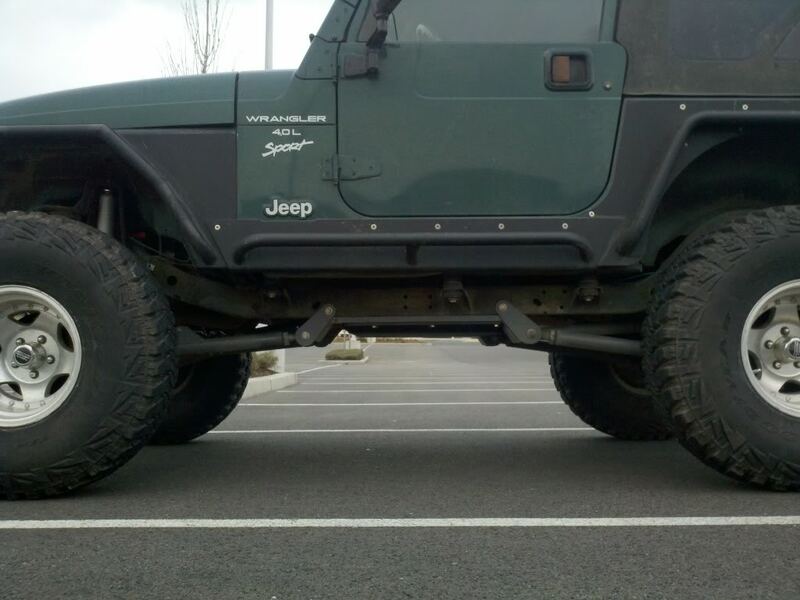 I believe that skid plates are a great upgrade to your TJ if you are serious about offroading. The stock TJ transmission skid is not flat at all, and tends to get hung up on everything. I jokingly refer to the stock skid as a shovel. By going with a flat skid plate you’ll be able to slide over obstacles easily. I really wanted an upgrade, so I went with a skid plate that raises the transmission an inch or two. By doing this, I have greater ground clearance with out a lift. I personally run a belly up skid plate by Under Cover Fab, and I love it. Tube fenders are all the rage right now. In my neck of the woods you can’t throw a rock without hitting a Wrangler with tube fenders. I do like them, however I’d suggest this is one of the upgrades you do at the end of your build. Tube fenders are fantastic at getting rid of previous damage (if you’re not going to just replace the fender). Tube fenders also allow more wheel travel, so you can stuff those big tires up in the fender well. This increased the clearance in the wheel well allows you to get by with a smaller lift.